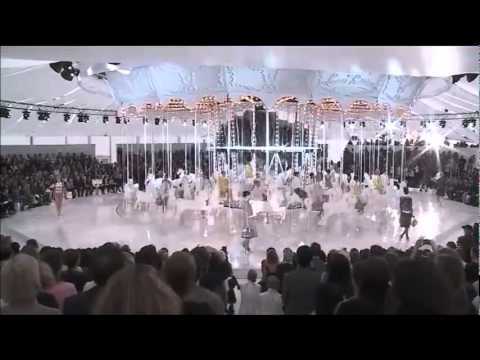 Other than the beautiful clothes, the Louis Vuitton SS 2012 show featured a magical carousel with white horses. The ad campaign is just as decadent! It’s always a treat to get a look into the backstage area of a show or the behind the camera scenes of an ad campaign. This behind the scenes look at the making of the Louis Vuitton SS 2012 ad campaign, hosted by Marc Jacobs, is such a treat. Take a look and enjoy. Be warned you may find yourself craving an ice cream sundae after viewing.